You probably have lots of loves in your life—a husband, wife, boyfriend, girlfriend, kids, friends, grandma, grandpa, pets. The list goes on and on! That’s why we got busy in our Candy Store Test Kitchen seeing how much Valentine’s Day love we could squeeze out of a cupcake mix. You got it. 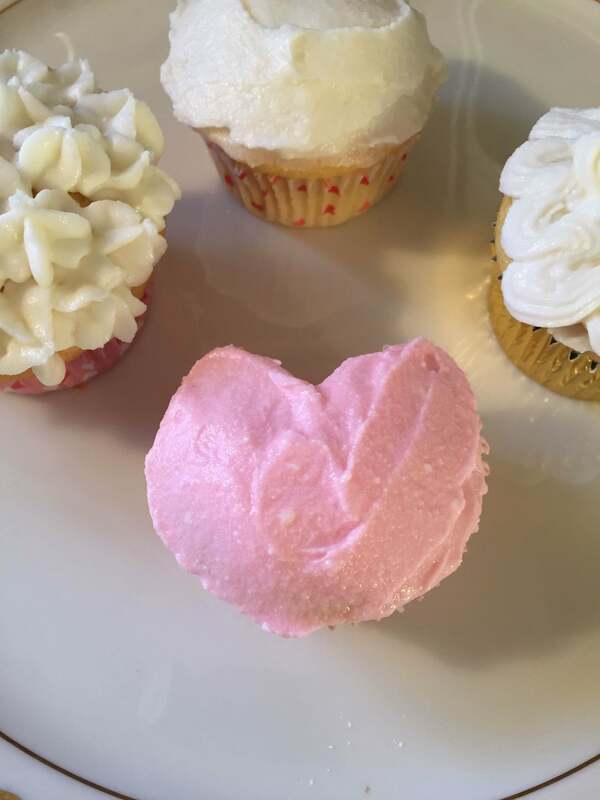 We only used one box, but we were able to come up with six cute, charming, and completely adorable Valentine’s Day cupcakes designs you’ll fall head over heels for. Here’s how to do it yourself. 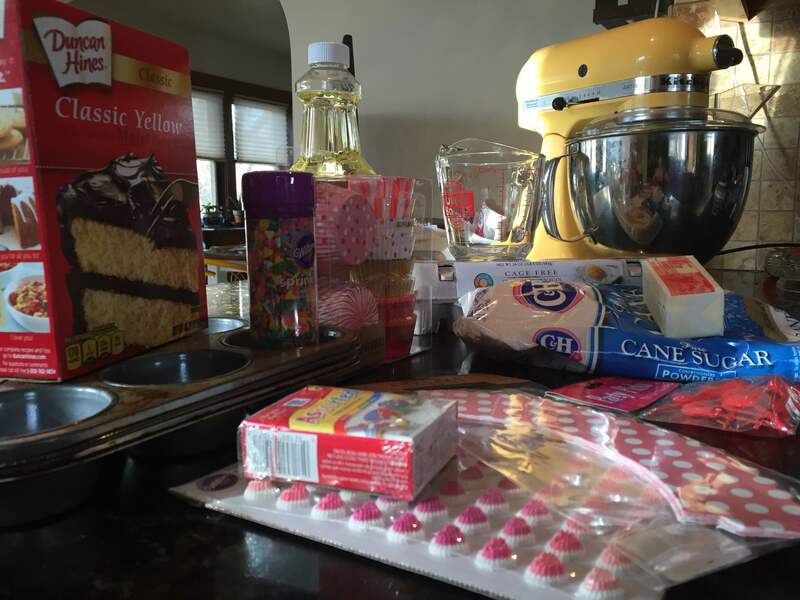 Ready to start baking? Let’s do it! Our test kitchen looked a little bit like Cupid exploded afterwards, but the results were well worth it. You’re welcome to make everything from scratch (we did the buttercream ourselves), but a mix works perfectly fine and saves lots of time. Test Kitchen Tip: Putting everything out on the counter will keep you from forgetting to add any ingredients or include any decorations that might otherwise be overlooked in the pantry. 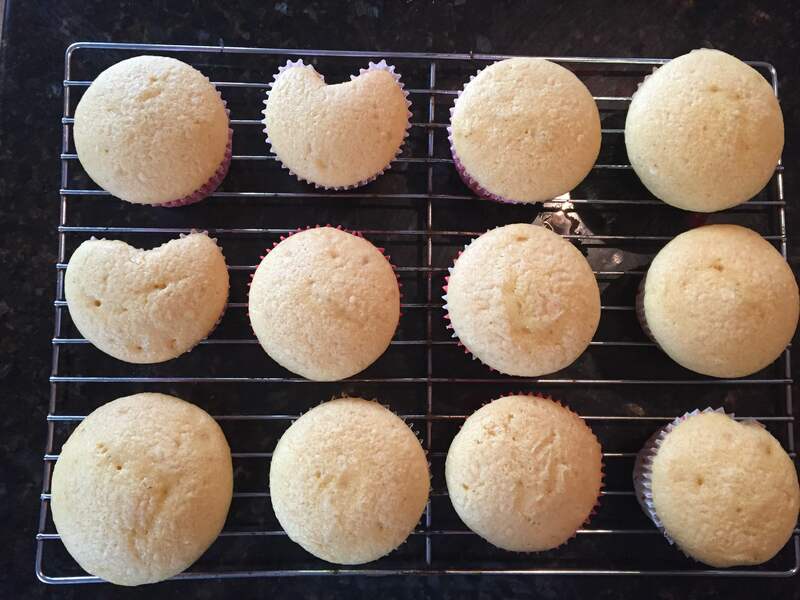 An easy way to vary your Valentine’s Day cupcakes design is to start with different liners. We used a variety—from hearts, to gold metallic, to a polka-dot post-baking wrappers, and more. Just pick bright colors you love and go with a Valentine’s Day theme. We took it a step further and changed it up that much more by using a tiny foil ball to create a heart shape cupcake too! Don’t have a professional mixer? Don’t worry! You can use a wooden spoon or a handheld mixer one too. It’s more important to follow the directions of the recipe you’re using, so gadgets don’t matter that much. 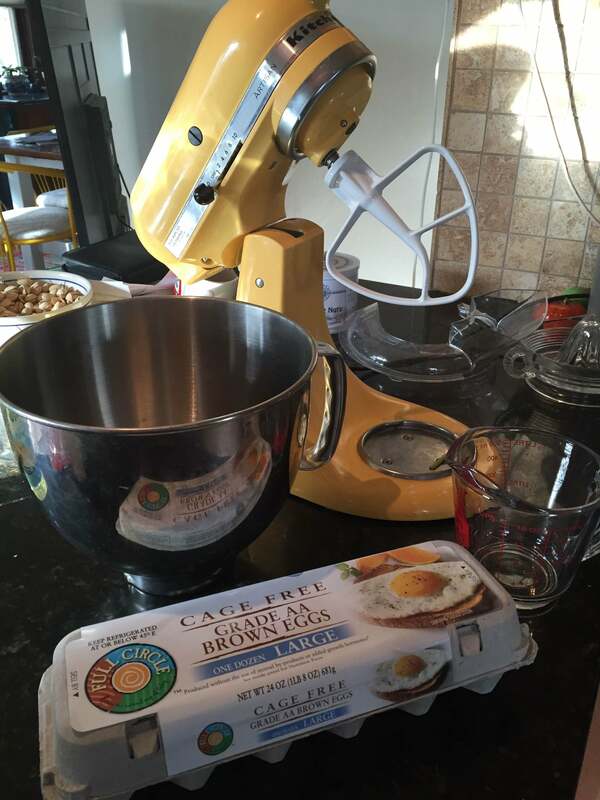 We used a traditional yellow cake mix, so we only had to add the mix, water, eggs, and oil to this mixer and turn it on medium for a couple minutes before it was ready to bake. 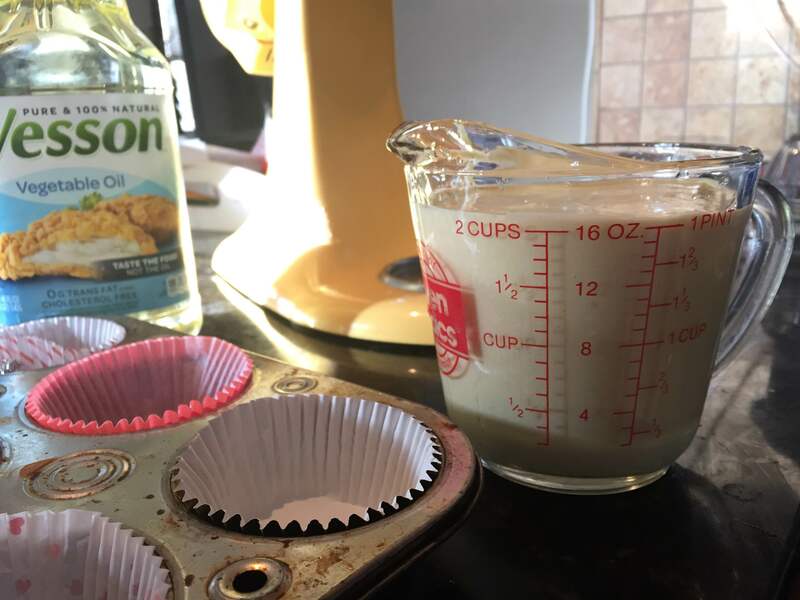 If the bowl you’re mixing in doesn’t have a spout, pour it into a measuring cup to make the pouring of your Valentine’s Day cupcakes much neater. Use a spatula to get out every last drop of cake batter and then fill the cupcake tins and get them in the oven right away! It’s hard to be patient at this point because of the warm, fluffy goodness that awaits. Trust us though, you need to let these babies cool down all the way before frosting or it’ll all melt away and you’ll be left with a sad mess. Give them at least 15 minutes until they feel room temperature to the touch. 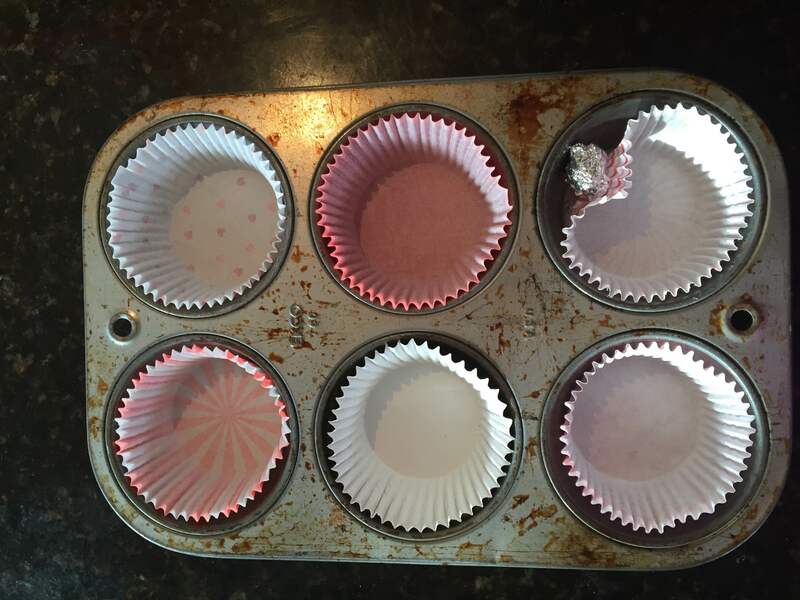 Test Kitchen Tip: Putting the cupcakes onto a metal rack immediately will help them cool faster and keep and steam from making the bottoms soggy. You can keep yourself busy and steal a few licks of sweetness from the bowl by getting started on the icing while the cupcakes cool! We opted for a homemade buttercream, but store bought works just as great. If you are craving something besides vanilla, add a few drops of peppermint, almond, or another extract to the frosting. Start with two sticks of softened unsalted butter. It’s very important that they’re soft so they’ll mix up well. Leave them on the counter for a bit or nuke them in the microwave in small increments on low until they’re soft to the touch, but not melted. 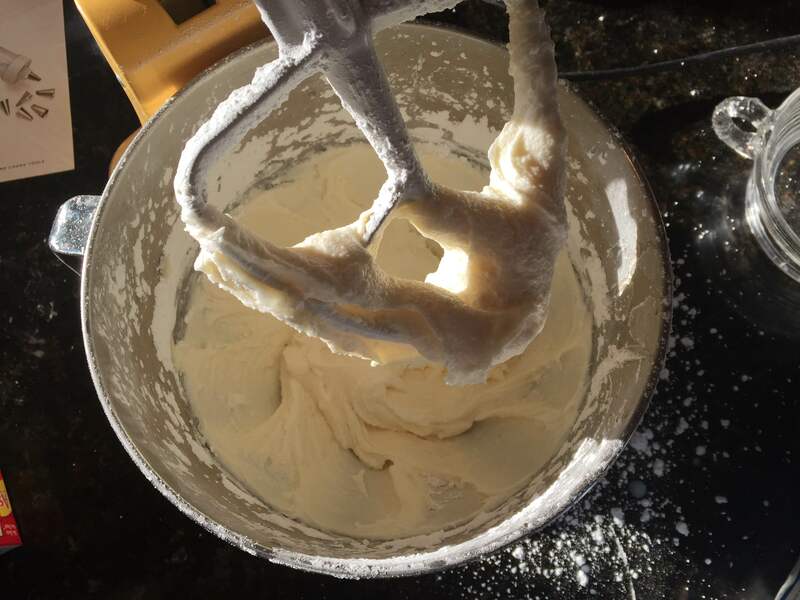 Turn the mixer on medium and whip the butter until it’s light and creamy. Then, add the vanilla, salt, and confectioners sugar—half a cup at a time. If it gets too thick before you have enough, add a splash of half and half. Then, add more sugar until you have about a cup to two cups of frosting. This is the consistency the frosting should be when it’s done. It should stand on the mixer without dripping off. If it’s still too runny, add more sugar until it’s thick. 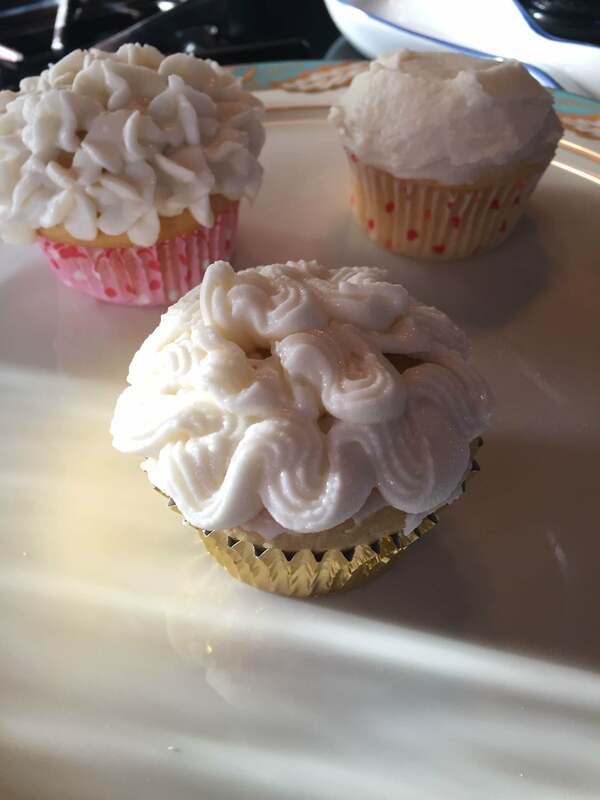 We used a knife for a smooth frosting finish and a cookie press to give the icing more texture with rosettes and swirls. If you don’t have a fancy icing tool, don’t worry! You can just use a knife or spatula to apply the frosting in a smooth way and dress it up when it comes to accouterment time. 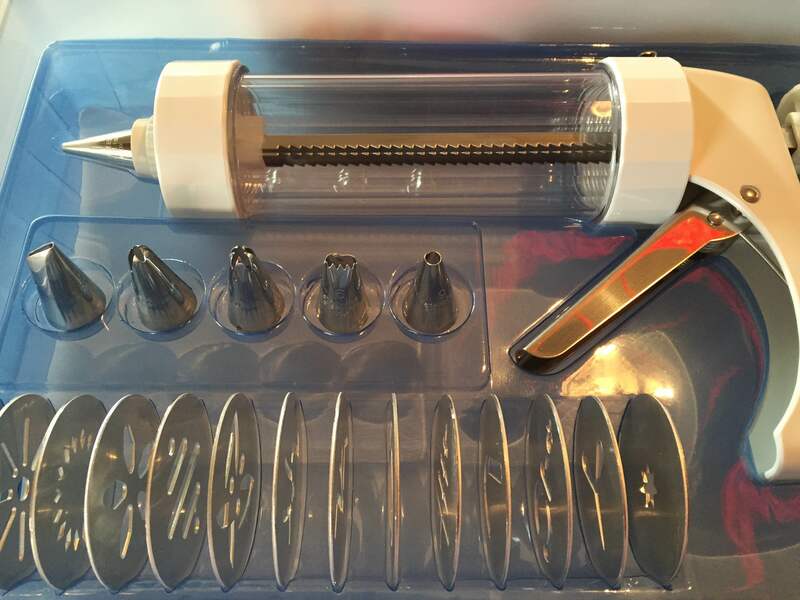 This is a cookie and icing press from Crate and Barrel. 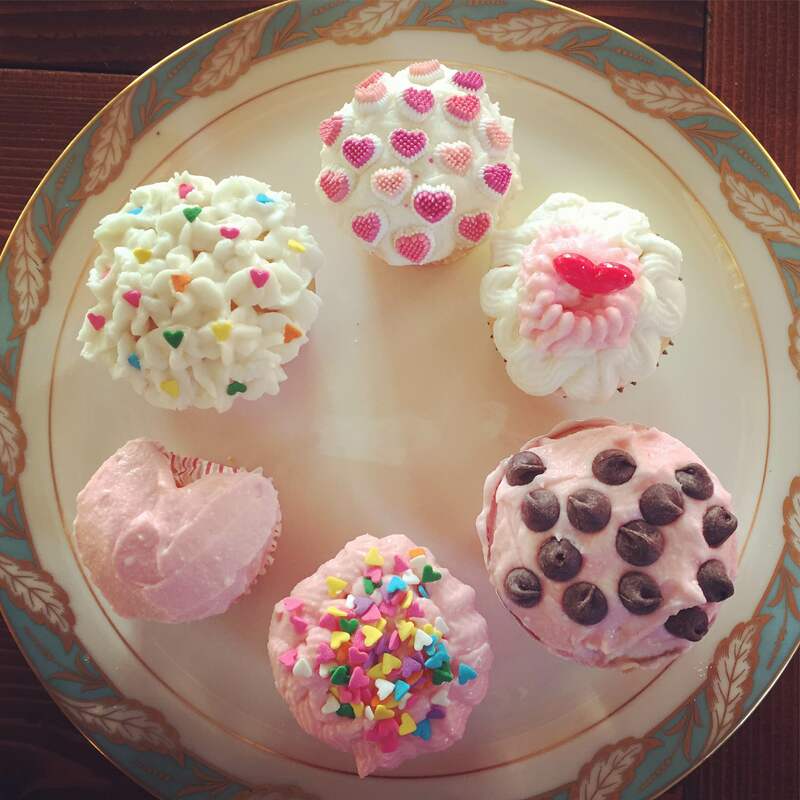 You can follow our lead here or go where you heart desires, but here are some of the ways we started decorating our cupcakes with icing. 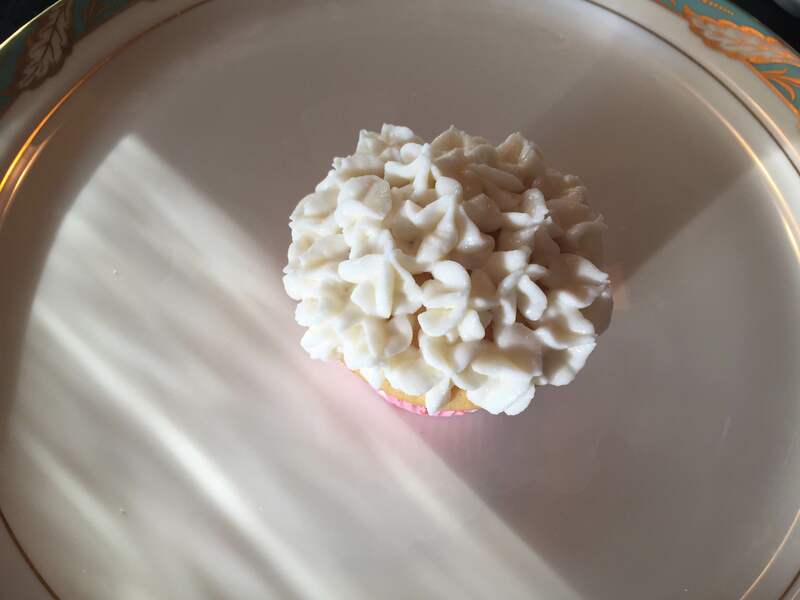 For the first, we used the rosette icing tip to give it a girly and fun feel. The second has a swirl pattern that we love. We decided to leave the pink heart texture-free since we didn’t want to get in the way of the shape. This is where your creativity can really shine. Once everything is iced, play with different edible sprinkles, pink M&M’s, plastic heart toothpicks, chocolate chips to make x’s and o’s, and mixing frosting colors. This way, every single one your Valentines can get a special sweet so you can show them how amazing and unique they are to you.